That moment when you feel so convicted, so humbled, so completely devastated… But in a good way. I had one of those moments not long ago. I was sharing with a friend about a trial that hadn’t come my way after all – a close call, a scare that turned out to be nothing. I heard myself confess that, while a big part of me was incredibly relieved and thankful, a tiny part of me was actually disappointed. 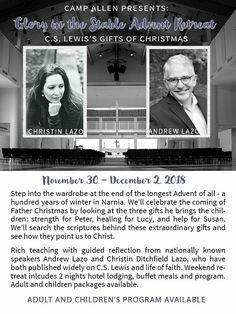 Because on some level I knew that if God had allowed that trial into my life, it would have meant that we were going on a new journey together. I found myself longing for that special closeness, that deep connection with Him. In the most painful experiences of my life, His presence has been the sweetest. A part of me mourned that we were not to share one of those precious times together. And I was utterly undone. He was rejected by His own people. Sometimes He still is. Rejected by us. We’re so busy and distracted… or so anxious and fearful… or so stubborn and unyielding… so determined to have our own way. 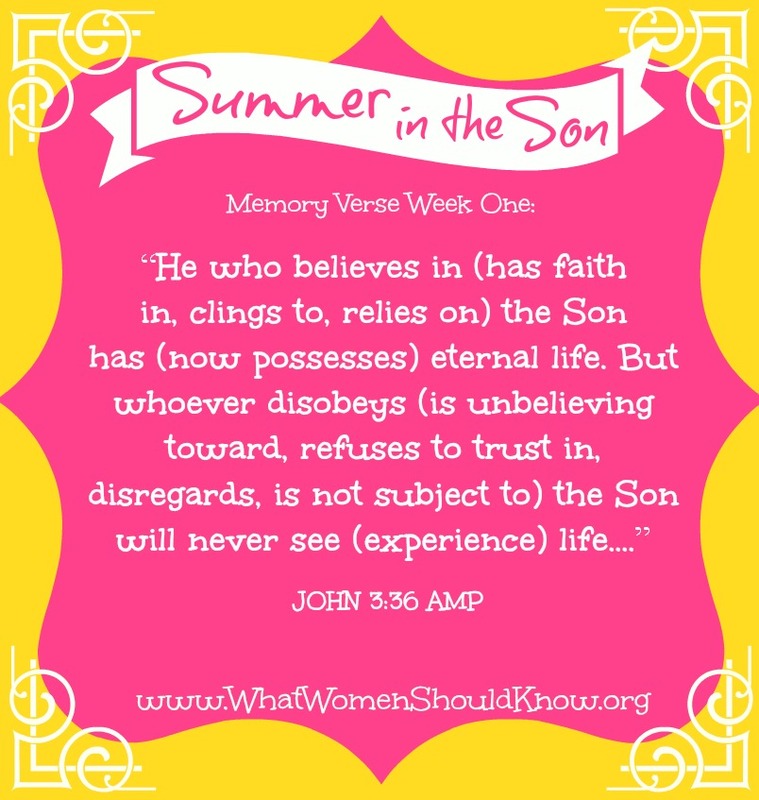 Look at what it means to reject Him, to disobey Him: “is unbelieving toward, refuses to trust in, disregards, is not subject to.” If I’m honest, those words sometimes describe me. They describe certain areas of my life, certain attitudes or habits or behaviors. 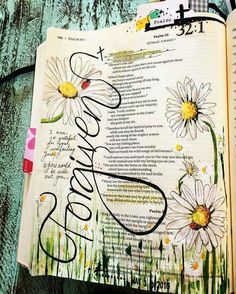 Things I have not fully surrendered to Him. There are times still when I harden my heart, when I don’t receive Him – when instead I shut Him out. And then I wonder why I don’t experience the gloriously abundant life He has called me to. I don’t want that to be true of me… but sometimes it is. That’s one of the reasons this summer I’m soaking in the Son. I’m reminding myself who He is and why I love Him and what it means to believe in Him and walk with Him. I’m not waiting for more pain and suffering or stress or drama or trauma to push me into His arms. I’m running to Him now, grabbing hold of His hand. Happy and excited to be with Him. Ready for the adventure that lies ahead! 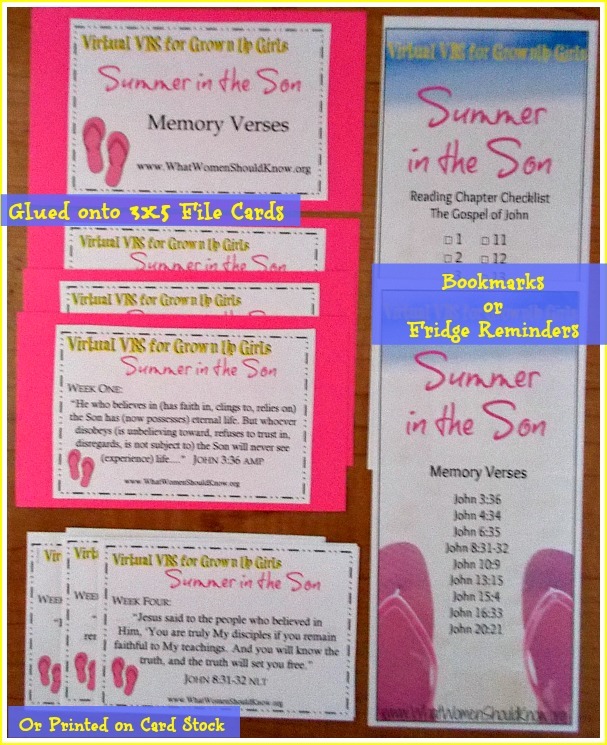 You can download the free printable memory verse cards here. 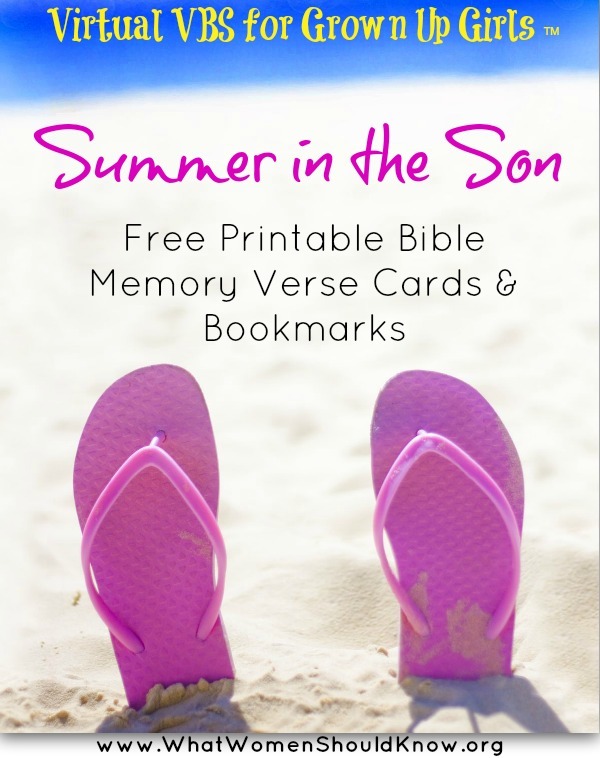 You’ll also find more free goodies on Pinterest and Facebook! What keeps you from experiencing a closer relationship with Jesus? 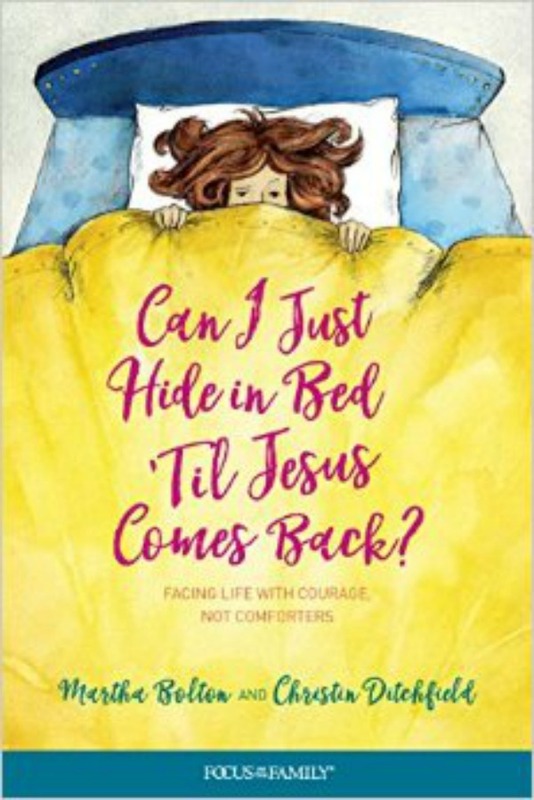 Why does it sometimes seem so hard to really believe – have faith in, cling to, rely on – Him?